Previously, JAPAN Style introduced the Zero Yen Shop that sells secondhand clothes in Tokyo, which I had been curious to visit, and last Saturday, I actually went to the store! If you haven’t read the previous article about the store, please read it first. It was easy to find the store. I went in and said hi to the owner. 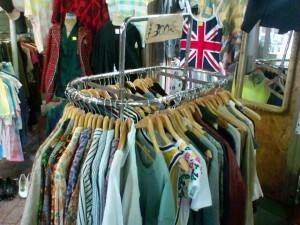 The secondhand clothes inside of the store. The owner was very pleased to hear that I was really impressed by his bold forefront project and introduced about it on JAPAN Style. The red glasses features him. 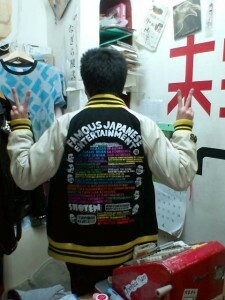 The back side of his baseball jacket is funny. Following is the conversation of me and the owner. 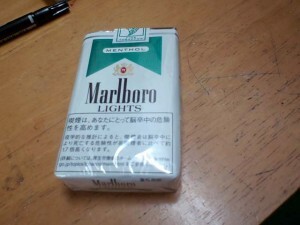 —Does Zero Yen project have huge public response? —The reality is tough… Since “Free” business is now in fashion, if you structure the business model, you may succeed? —Do you sell secondhand clothes at this store only? —Personally, I don’t buy secondhand clothes but I think that they would be sold well now because of depression. —Can I see a treasurable item if any? 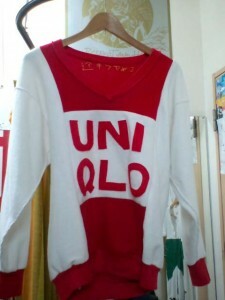 This sweater has UNIQLO’s logo but it’s actually hand made by the owner! what they think of it LOL. 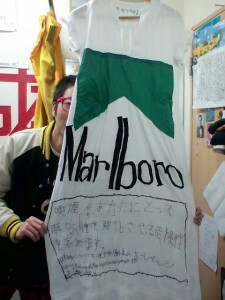 This is Marlboro designed shirt (?). 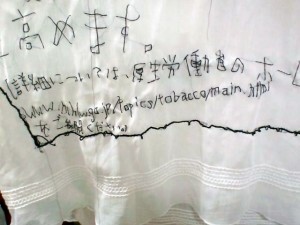 He embroidered the URL too! Awesome work! 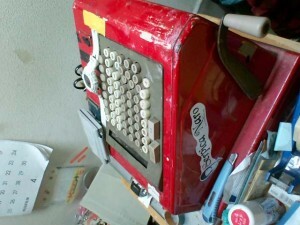 By the way, I liked this cash register. It’s tasteful and cool. 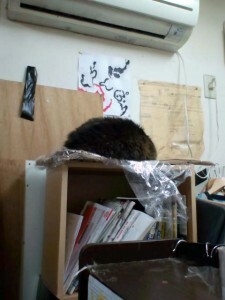 The mascot cat of the store, Ran-chan. While I was interviewing him, I saw some customers came in and an older lady bought some clothes there. The owner said if he doesn’t come up with a business model that works, he can’t make his own living. If you have idea for him to make his living by selling secondhand clothes, please contact me and save him please!!! perhaps he can rent out a cheap store and label the shop as a recycle shop. or maybe he can move to an area where there are people who are in need of the 0 yen goods. Thank you for your advice. The area he opens the store seems expensive. 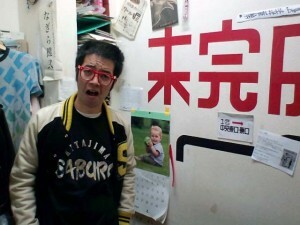 But I think he loves to stay in the town because he started the project to make the town active.